The Owlboy Limited Edition is seeing another delay in North America. This isn’t the first time it’s been pushed back, with the most recent date scheduled for September 28. SOEDSCO said today that the Owlboy Limited Edition won’t be arriving next week since the product has been held up by U.S. customs. The publisher now anticipates a new release date of October 19, though we’ll have to see if that date sticks. Folks are finally starting to get their hands on the new Owlboy Limited Edition. For a closer look at what’s included, check out the unboxing video below. The Owlboy Limited Edition has been delayed by a few weeks in North America. Originally slated for later this month, it’ll now arrive on September 28. 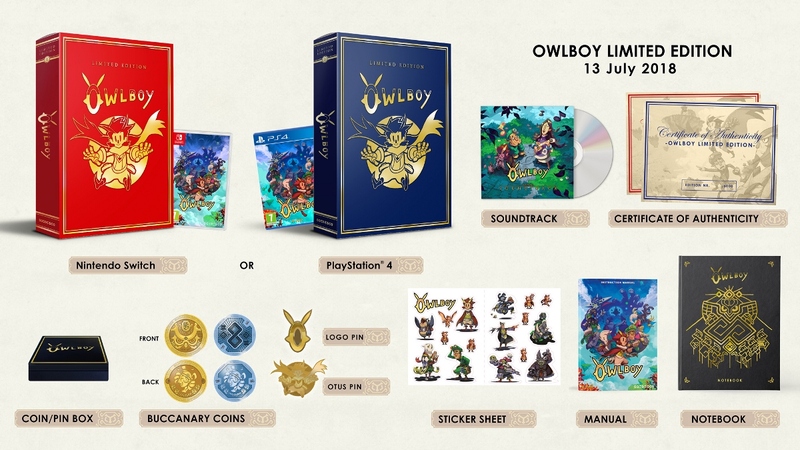 Other regions will still be receiving Owlboy Limited Edition on August 31. Owlboy fans will have to wait a bit longer for the game’s limited edition. In order to ensure a worldwide launch, it will now ship on August 31. Amazon UK has opened pre-orders for the Owlboy Limited Edition. You can reserve it here. If you missed out on US pre-orders, note that Amazon UK will ship stateside. A limited edition was announced for Owlboy earlier this month. Retailers are starting to take pre-orders, with Amazon accepting reservations here. Only 6,000 units will be made worldwide. In a Reddit AMA held today, D-Pad Studios commented on the performance of Owlboy on Switch. While we don’t have specific numbers, the team is very happy with the results thus far. The game managed to turn a profit within just 24 hours of its launch on Nintendo’s console, which took D-Pad “by complete surprise”. The success bodes well for funding future projects, according to co-CEO Jo-Remi Madsen. Owlboy released on the Switch eShop back in February. A special limited edition will arrive in July. A limited edition was announced for Owlboy last week. Retailers are starting to take pre-orders, with Play-Asia accepting reservations here. Only 6,000 units will be made worldwide. 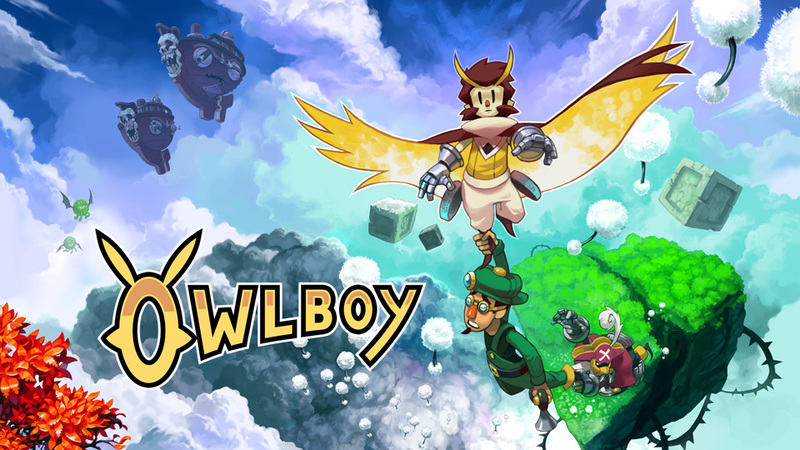 A few days ago, SOEDESCO announced a limited edition for Owlboy. The full contents have been revealed today. 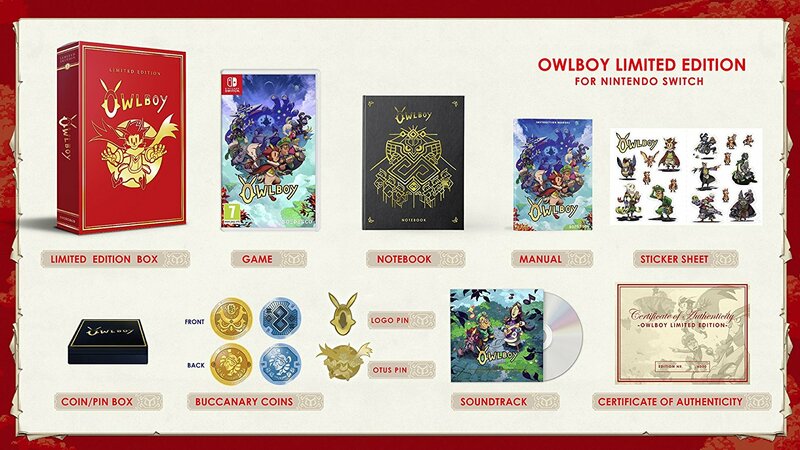 SOEDESCO, who will be publishing Owlboy at retail, has revealed a physical limited edition for the game. At this time, not many details are known, but the publisher has confirmed this special edition will be made available worldwide, limited to 6,000 copies. The Switch edition features the red box art (pictured above).